Lavish holiday parties once brightened Emerald Crest. But the festivities stopped, and now the granite mansion stands in darkness. Nobody has seen the disabled master, Henry, for years---until 11-year-old Julia steps across the threshold. When she overhears a secret about him, she decides to cheer him up. Can she bring Christmas back to the manor? 224 pages, softcover from Gilead. Everyone in town knows Emerald Crest, the green granite mansion atop the highest hill: the legendary, lavish Christmas festivities that used to light up the nights and the silence that followed when the parties abruptly stopped many years ago. And everyone has heard whispers about the reclusive, mysterious master of the manor, Henry Lafferty the Second . . . When eleven-year-old Julia Russell steps into the great house for the first time and meets Mr. Lafferty, the entire course of her life is altered. She meets a man who is nothing at all like the rumors shes heard from neighbors and classmates. Hes kind and extraordinarily talentedhe also happens to be deaf and uses a wheelchair. And when she overhears a secret about him, Julia decides its time for the town to bring Christmas back to Emerald Crestan act that will change them all forever. 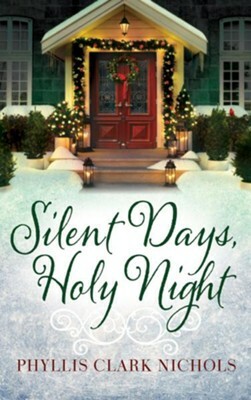 I'm the author/artist and I want to review Silent Days, Holy Night.